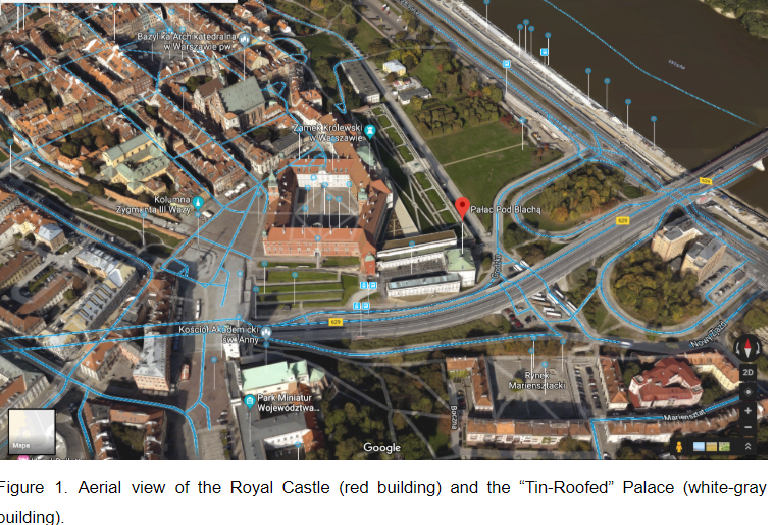 How to get from “Ibis” Hotel to the Royal Castle? If you don’t want to walk, take a bus 116, 503 or 518 from the stop Muranowska 05 to Pl. Zamkowy 01. The route takes around 5 minutes and it costs 3,40-4,40 zł. All the details on the website https://www.ztm.waw.pl/index.php?l=2. HOW TO GET FROM THE CHOPIN AIRPORT TO THE CITY CENTRE? 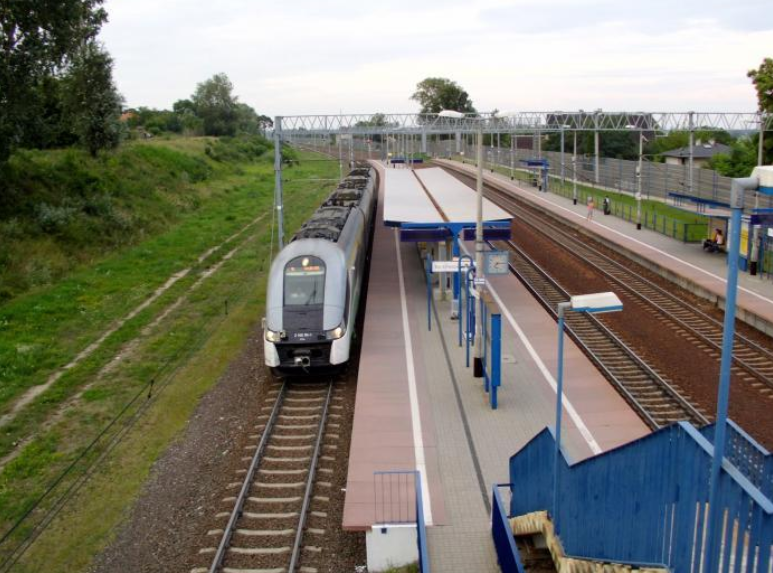 Chopin Airport is also served by KML airport trains operated by Koleje Mazowieckie (Masovian Railways). You can purchase your ticket online. The train takes you to the City Centre (Warszawa Al. Jerozolimskie) in about 20 minutes and costs about 10 zł. All the details on the website https://www.mazowieckie.com.pl/en. Never, ever take an unmarked car from the street or from the airport/station. At the Chopin Airport there are 2 or 3 guys speaking perfect English who „catch” forigners on the way to taxi rank. Just ignore them. The taxi rank just outside the terminal is safe. The taxi fare from the airport to the city centre is approximately 40 zł. HOW TO GET FROM THE MODLIN AIRPORT TO THE CITY CENTRE? You can take a direct Modlin Bus from the airport to the city centre, the bus stops exactly next to the Palace of Culture. The route takes around 55 minutes and the prices start from 28 to 35 zł. You can purchase your ticket online or buy it at the selling point, which is located next to the exit from the arrivals. 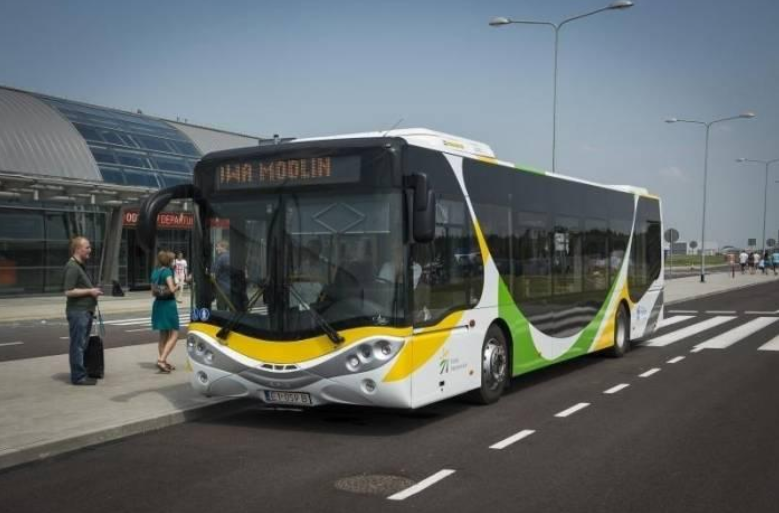 All the details on the website: https://www.modlinbus.com. The second option includes the train, however, you need to take a bus, which will take you to the railway station. 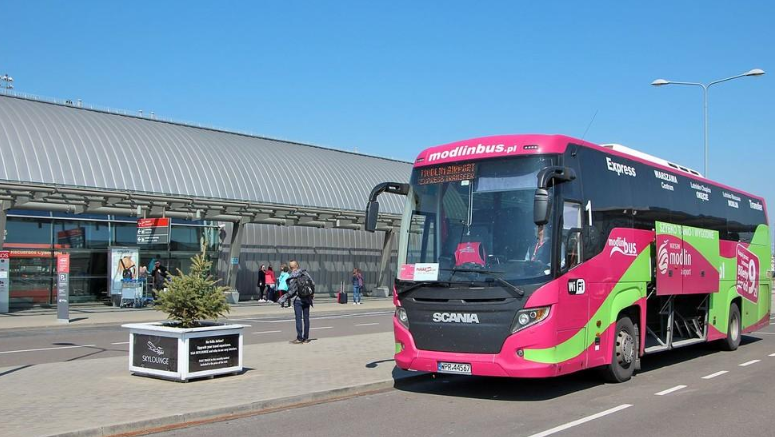 There are special airport busses covered with colours of Koleje Mazowieckie (Figure 2), running every 20-30 minutes between Warsaw Modlin Airport terminal and Modlin railway station. At the station you need to get to the platform 2 since the train arrives there. The train takes you to the Warsaw Central Railway Station, which is located in the neighbourhood of the Palace of Culture. You can purchase your ticket online or buy it at the ticket vending machines, which is located next to the exit from the arrivals. The route takes about 1 hour and it costs about 20 zł. All the details on the website https://en.modlinairport.pl/page/train. Figure 2 Masovian Railway Bus. Figure 3 Train station in Modlin. HOW TO GET FROM THE BUS STOP WARSZAWA ZACHODNIA TO THE CITY CENTRE? You can take the public transport from the bus stop Dw. Zachodni 01 to the City Centre (Centrum). All the details on the website https://www.ztm.waw.pl/index.php?l=2. HOW TO GET TO THE IBIS HOTEL? The best way is to go by tram 15, 18, 35, from the stop Centrum 08 to Muranowska 08. The route takes around 15 minutes and it costs 3,40 zł. All the details on the website https://www.ztm.waw.pl/index.php?l=2. The best way is to go by tram 9, 7, 17, from the stop DW. Centralny 07 to Centrum 09 and then by other tram 15, 18, 35, from the stop Centrum 08 to Muranowska 08. The route takes around 20 minutes and it costs 3,40-4,40 zł. You can also go by bus 227 from the stop DW. Centralny 12 to Muranowska 06. The route takes around 15 minutes and it costs 3,40 zł. All the details on the website https://www.ztm.waw.pl/index.php?l=2. 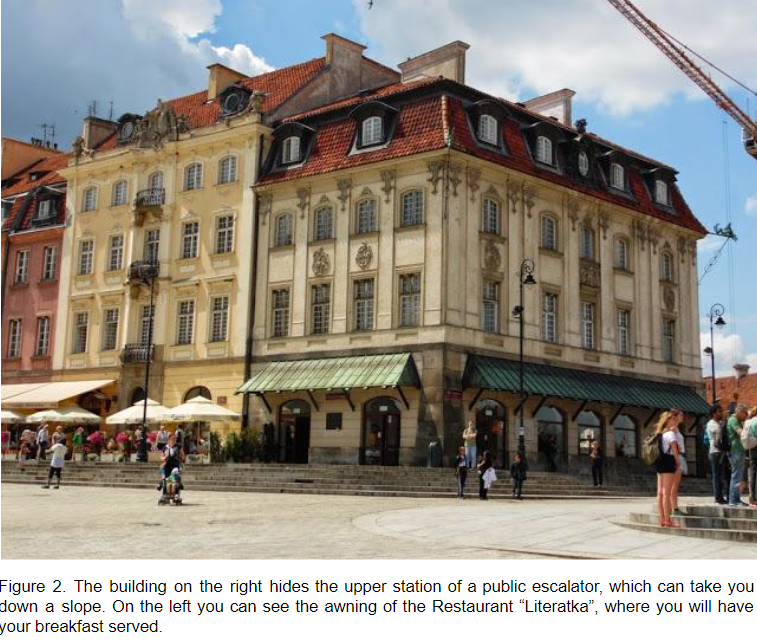 HOW TO GET TO THE MUSEUM OF WARSAW? The best way is to go by tram 4 from the stop Centrum 08 to Stare Miasto 01. From there you need to walk 600 metres to the destination point. The route takes around 20 minutes and it costs 3,40-4,40 zł. All the details on the website https://www.ztm.waw.pl/index.php?l=2. The best way is to go by bus 160 from the stop DW. Centralny 12 to Stare Miasto 01. From there you need to walk 600 metres to the destination point. The route takes around 20 minutes and it costs 3,40-4,40 zł. You can also take the bus 227 from the stop DW. Centralny 12 to Świętojerska 01. From there you need to walk 600 metres to the destination point. The route takes around 20 minutes and it costs 3,40-4,40 zł. 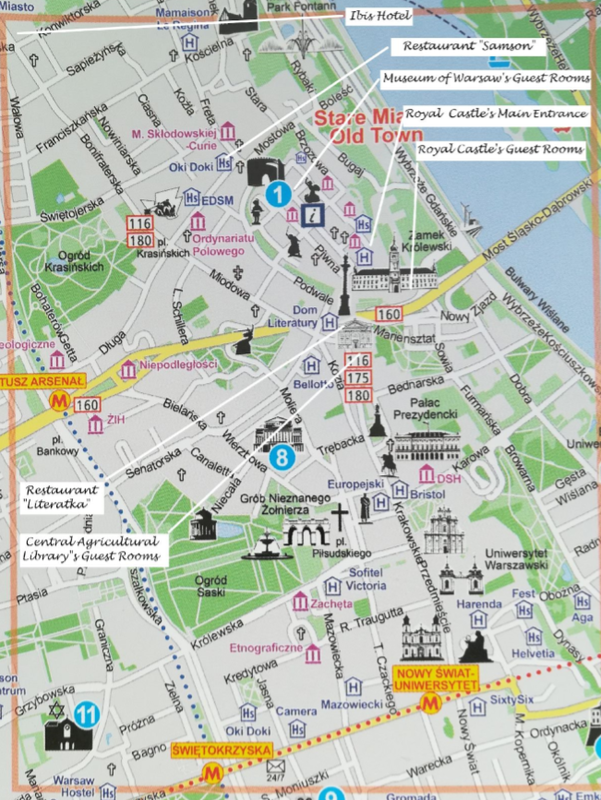 HOW TO GET TO THE ROYAL CASTLE IN WARSAW? The best way is to go by tram 4 from the stop Centrum 08 to Stare Miasto 01. From there you need to walk 300 metres to the destination point. The route takes around 15 minutes and it costs 3,40. All the details on the website https://www.ztm.waw.pl/index.php?l=2. The best way is to go by bus 160 from the stop DW. Centralny 12 to Stare Miasto 01. From there you need to walk 300 metres to the destination point. The route takes around 15 minutes and it costs 3,40. All the details on the website https://www.ztm.waw.pl/index.php?l=2. The Royal Castle’s Guest Rooms are located in the “Tin-Roofed” Palace (https://www.zamek-krolewski.pl/en/the-tin-roofed-palace), an 18th century building adjacent to the Castle, down a slope from the Castle Square. 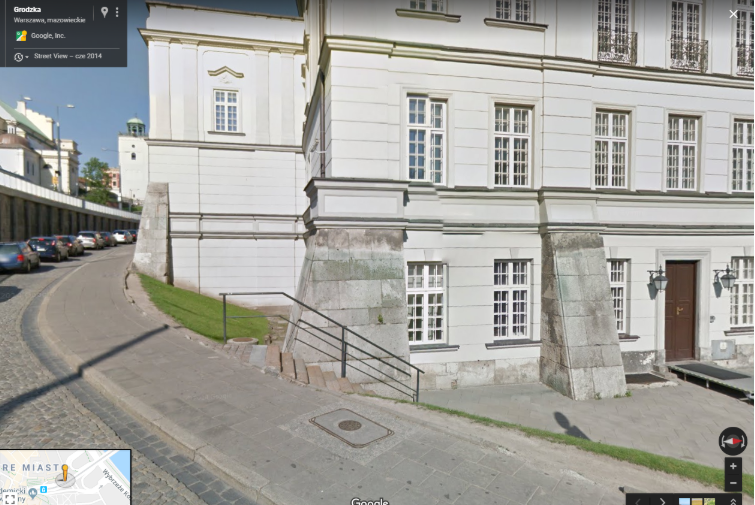 If you arrive by bus to Stare Miasto, you have to walk downstairs or take a public escalator (entrance through one of the buildings at the Castle Square). 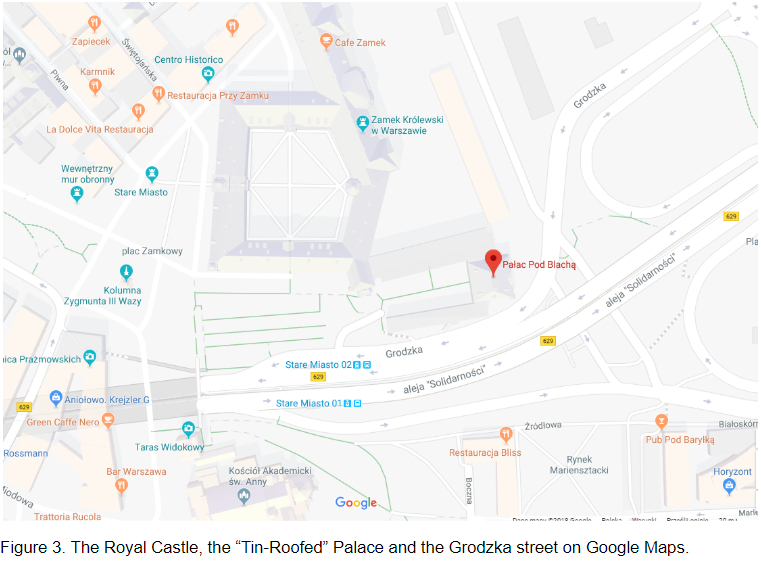 If you arrive by taxi, tell the driver to take you to the Grodzka street at the „Tin-Roofed” Palace (Pałac pod Blachą). To get into the building, you should ring the bell at the brown door which you can see on the photograph below. On your arrival you will receive vouchers for breakfast at the Restaurant “Literatka” (http://literatka.com.pl/restaurant.html#literatka2). 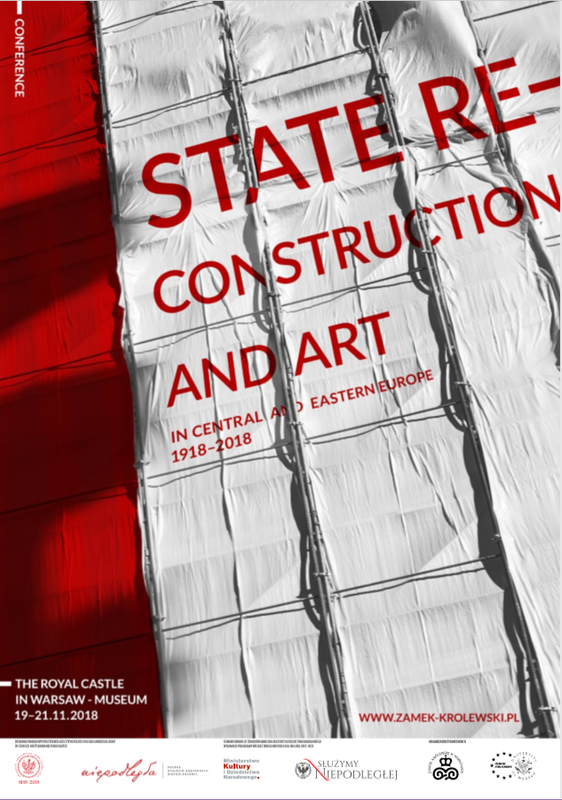 HOW TO THE CENTRAL AGRICULTURAL LIBRARY IN WARSAW? The best way is to go by bus 128 from the stop Centrum 05 to Plac Piłsudskiego 04. From there you need to walk 450 metres to the destination point. The route takes around 20 minutes and it costs 3,40. You can also take the bus 175 from the stop Centrum 05 to Plac Piłsudskiego 06. From there you need to walk 450 metres to the destination point. The route takes around 20 minutes and it costs 3,40. The best way is to go by bus 160 from the stop DW. Centralny 12 to Stare Miasto 01. From there you need to walk 400 metres to the destination point. The route takes around 20 minutes and it costs 3,40. You can also take the bus 175 from the stop DW. Centralny 01 to Plac Piłsudskiego 06. From there you need to walk 450 metres to the destination point. The route takes around 20 minutes and it costs 3,40. Finally, you can go by tram 4 from the stop Centrum 08 to Stare Miasto 01. From there you need to walk 600 metres to the destination point. The route takes around 20 minutes and it costs 3,40-4,40 zł. Single fare transfer ticket entitles to an unlimited number of journeys for a period not exceeding 75 minutes from its validation or entitling to a single journey to a stop or station which is the last on the route. ATTENTION! This ticket is not valid on buses „L” lines type. HOW TO BUY A TICKET FOR PUBLIC TRANSPORT? 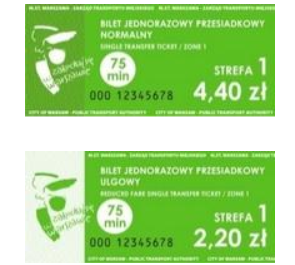 In vehicles of ZTM lines only tickets issued by ZTM Warszawa are acceptable. Such tickets may be bought in the sale network, including among others, Passenger Service Centres, post offices, newspaper stands, authorised points of sale and ticket vending machines. 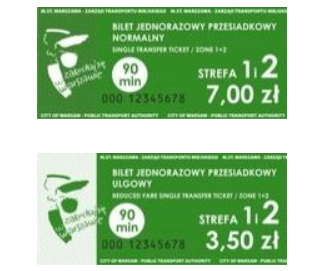 Single fare tickets, time-limit tickets and short-term tickets are sold on a carrier in a form of a paper card with a magnetic strip. Never, ever take an unmarked car from the street or from the airport/station. Pick one or two taxi corporations and always use them. The safest way is to order a taxi by phone. If you do not speak Polish download an application – many taxi corporations have their own app. You can also download iTaxi or myTaxi – „internet only” taxi corporations. Avoid taxi ranks apart from the clearly marked ones at the aiports or the Warszawa Centralna station (they are marked with a logo of the corporation that is allowed to stop there). If you see „your” corporation waiting in the queue at a taxi rank take it even if it is not the first taxi in the queue.